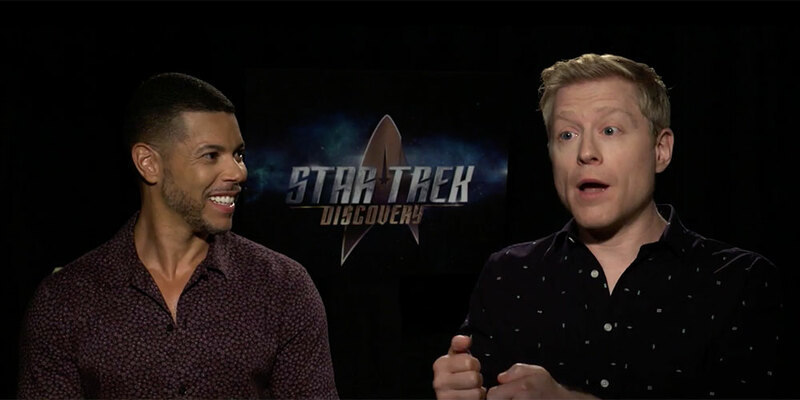 Openly gay actors Wilson Cruz and Anthony Rapp will break ground by playing a Star Trek gay couple on the upcoming CBS sci-fi series Star Trek: Discovery. As such, they’ll be the first-ever openly gay characters in the TV franchise’s 51-year history. Rapp says that the ’90s TV series Star Trek: Deep Space Nine had a “lesbian” relationship, but it involved a human character and someone who was neither human nor necessarily gendered. According to the Internet Movie Database, Rapp will play Lieutenant Stamets, a fungus expert, for 15 episodes. Cruz will play Dr. Hugh Culber, a medical doctor, for five episodes. 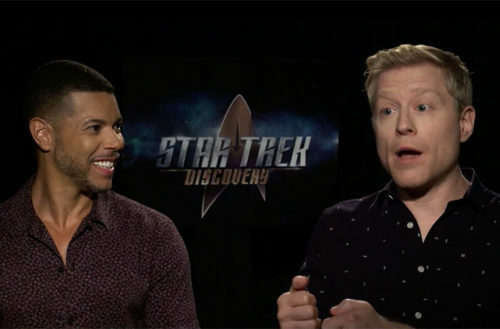 Star Trek: Discovery takes place aboard the U.S.S. Discovery in 2354, 10 years before the events of the original 1966 Star Trek TV series. The show will delve deeply into its characters’ interpersonal relationships rather than just their intergalactic adventures. Cruz famously played bisexual teen Rickie Vasquez in the 90s TV teen drama My So-Called Life and Rapp played Mark in the original 1994 Broadway production of Rent. Click on the image below to see Cruz and Rapp’s interview about their roles. 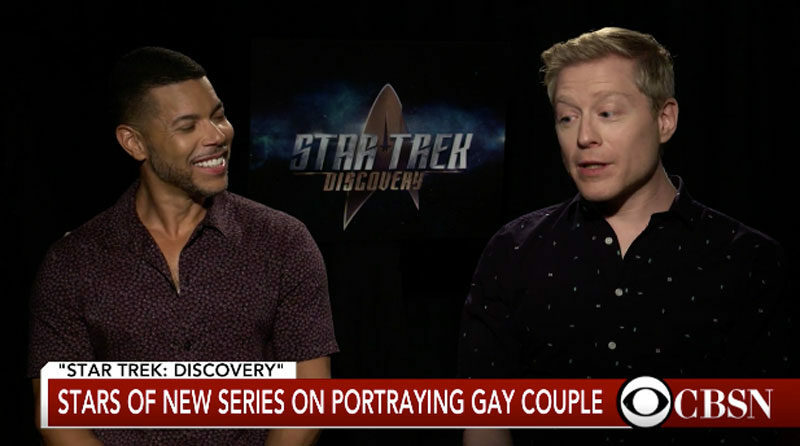 What can we expect from the Star Trek gay couple? Just like every other character in the series, Culber is a genius in his field in his own right, and is truly in awe of the people that he fights with — and in playing him, I draw inspiration from doctors and nurses and other medical people in battlefields where they have to really balance the mission and the well-being and health of their fellow soldiers…. and there’s the element of working with and loving someone you work with. That’s an interesting dynamic to play as well. I’m really excited and happy when a gay character is a part of a story — especially when a gay character is created in a complex and human and non-stereotypical, interesting way, and that has certainly been the case with Stamets. And you get to see his relationship. There was a little glimpse in Sulu in [the 2016 Star Trek film] Beyond, and it was a nice nod. But in this case, we actually get to see me with my partner in conversation, in our living quarters. You get to see our relationship over time, treated as any other relationship would be treated. Star Trek: Discovery premieres on CBS on Sept. 24, 2017.